← Will Books Be the Next Social Media Platform? 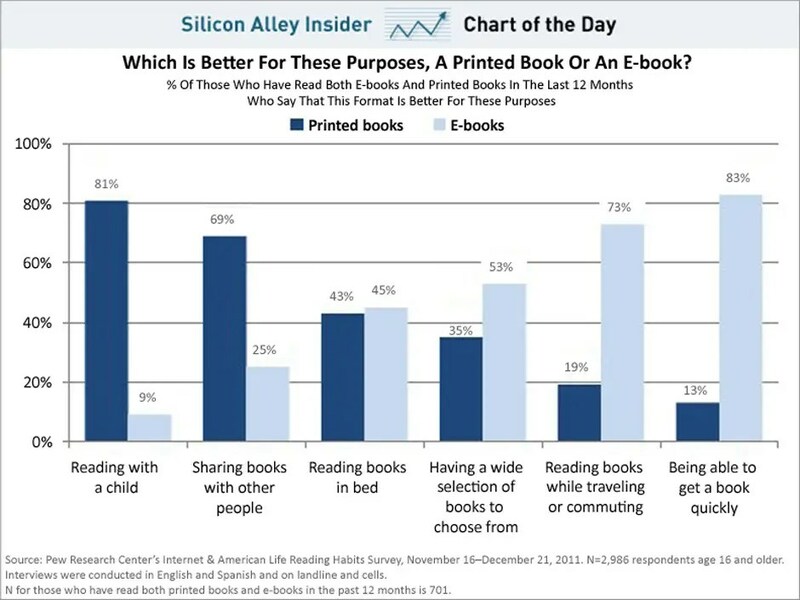 The portion of e-book readers among all American adults has increased to 21 percent from 17 percent between December and February, due in large part to a boom in tablet and e-reader sales this past holiday season. E-book readers plowed through an average of 24 titles in the past year, compared with an average of 15 for readers of physical books.